LEGENDARY Jazzman Oliver "Tuku" Mtukudzi, billed for a gig at the Opera House in Cape Town, South Africa tonight, has endorsed young Zimbabwean talent set to open the stage for him. The artistes who will curtain raise for Tuku as he launches his 67th album titled Hany'ga translated to "Concern" in the neighbouring country include Starbrite Zimbabwe 2012 winner Bryan "Bryan K" Kademu, guitarist Silent "Sylent Nqo" Nhendere and hip-hop rapper Pro Beatz. 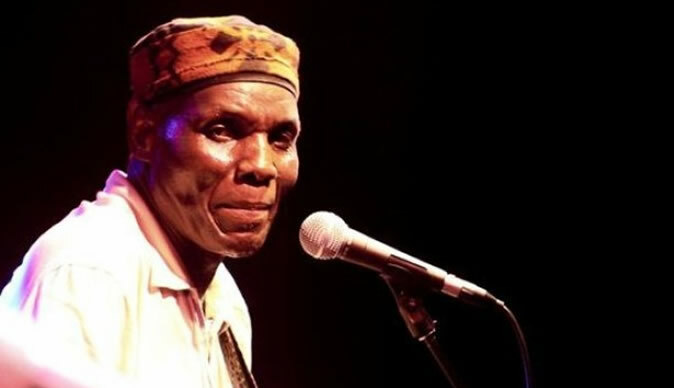 Through his twitter account, Tuku posted, "So Cape Town, I am bringing some of the best young artistes in Zimbabwe, please never call them 'upcoming' because they are just young. We believe in our young people always." One of the artistes who is grateful to share the stage with Tuku, Sylent Nqo revealed that he can't wait to do what he knows best, delivering a good performance in front of the Cape Town audience. "It's not about performing in front of the audience which knows you or doesn't know you, it's all about keeping up the good work, I can't wait to perform in Cape Town," said Sylent Nqo. Recruiting young talent and exposing it to the world is not something new in Mtukudzi's career. In December last year, Tuku conscripted new young artistes who came into the fold as graduates from Pakare Paye Arts Academy that included Prosper Mashite who takes care of the keyboard department for the world touring legend, and Keith Musena who plays drums. The two new young Black Spirits members made their first appearance with Tuku performing at the Buyelekhaya International Music Festival held in December last years in East London, South Africa. Tuku's manager Walter Wanyanya revealed that the main project and idea is to give young artistes a platform to perform alongside the legend so they can gain exposure and experience. "The main idea that Tuku is pushing is to give the baton to the new generation of young artistes as a way of bridging the gap between two generations. "We always give young gems a platform to perform in bigger stages especially were the audience doesn't know them like in Cape Town so they can gain confidence and exposure in as far as performance and artistic growth is concerned," said Wanyanya.